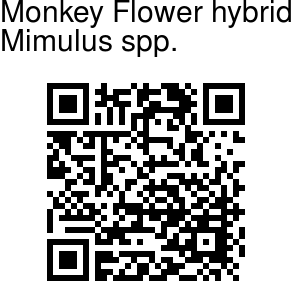 Monkey flower is a highly diverse plant genus of about 150 species. We now recognize that there are two large groups of Mimulus species, the largest in western North America, and a second group with center of diversity in Australia. They are called monkey flowers due to the fact that when you squeeze them at the lower part of the flower, the flower opens, doing so repeatedly, gives the humerous illusion of a monkey. Most of the species are annuals and herbaceous perennials, but a few species are subshrubs with woody stems. The green leaves are highly serrated. 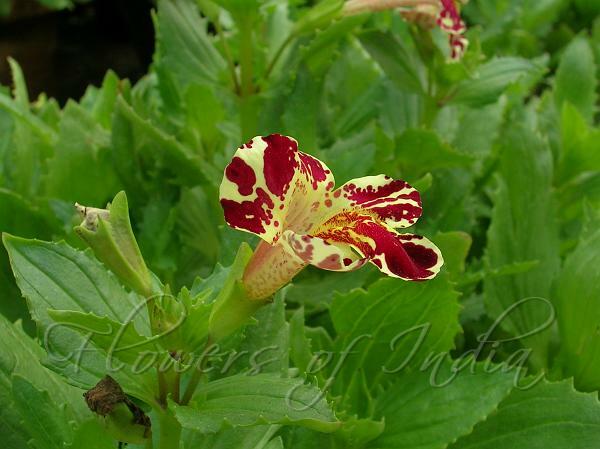 Mimulus are versatile bedding plants for full sun or part shade.